Do I Have to File a State Income Tax Return If I Don't Owe Anything? What if I Don't File for My State Return? Not every taxpayer is required to file a federal tax return, and whether you're required to do so depends on the amount of income you receive during the tax year as well as the type of income. If you make more than a certain amount and your income is from certain sources, you are required to file a federal return, even if you're getting a refund. When it comes to state returns, there is no one-size-fits-all answer, as every state has different laws regarding income taxes. Some states are like the IRS and have income limits to determine who must file a return; some states assess a flat tax, which means everyone who makes income is assessed the same rate; other states do not assess income tax at all. 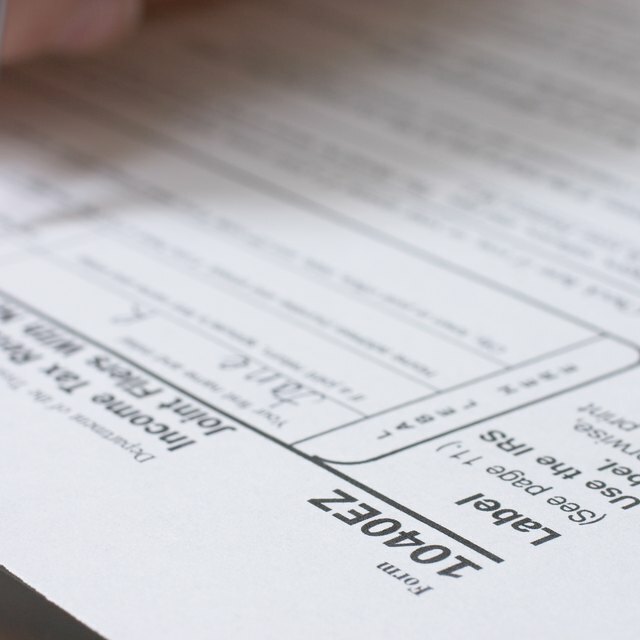 If your state has an income tax, you may want to file even if you don't owe anything. When in doubt it's always best to file a return, as you may be due a refund. Do I Have To File Taxes if I Owe Nothing? The IRS has specific guidelines for who must file a tax return. The guidelines are based upon a progressive taxation scale, which taxes higher earners more than lower earners via tax brackets. The lowest bracket is zero percent; in this bracket, no taxes are assessed. For example, if you're an unmarried individual under the age of 65, you must file a federal tax return if you made at least $10,400 for the 2017 tax year, or 12,000 for the 2018 tax year . If you make less than that amount, you are in the zero percent bracket and are not required to file a return. If you make that amount or more, you must file a return regardless of whether you owe taxes or are owed a refund. The amount of that bracket varies for married individuals and for individuals over the age of 65 with certain disabilities. Do I Need to File a State Tax Return in Wisconsin? Do Missourians Have to Pay Federal Income Tax on Their Social Security Checks? The federal tax brackets apply to taxable income, so if your only source of income is untaxable, such as workers' compensation, you may not have to file a return. Even if you aren't required to file a federal tax return, you may still have to file a state return. Seven U.S. states do not assess income taxes, so if you live or work in one of these states, you do not file a state tax return for income earned in that state, regardless of the amount or type of income. The states without state income tax are Alaska, Florida, Nevada, South Dakota, Texas, Washington and Wyoming. Tennessee and New Hampshire tax only interest income and dividends, not wages. If you live or work in either of these states, you are not taxed on the money you make at your job, but you may still be required to file a return to report interest and dividends even if you did not have any. Eight states use a flat tax rate, which means that all taxpayers are taxed at the same rate regardless of income level. This usually means that you must file a state return regardless of income level, as there is only one income bracket. Those states are Colorado, Illinois, Indiana, Massachusetts, Michigan, North Carolina, Pennsylvania and Utah. Do You Have To File State Taxes Every Year? If your state is not a flat tax state or a state without income tax, it uses a progressive taxation scale like the IRS, and you have to file a return if you make more than a certain amount. The scale is different for each state. Check with your state's department of revenue or with a tax professional for more information. If you determine that you're not required to file a federal tax return based upon IRS filing requirements, you may still have to file a state tax return. Make sure to check your state's requirements. Rebecca K. McDowell is an attorney focused on debts and finance. She has a B.A. in English and a J.D. She has written finance and tax articles for Zacks and eHow.